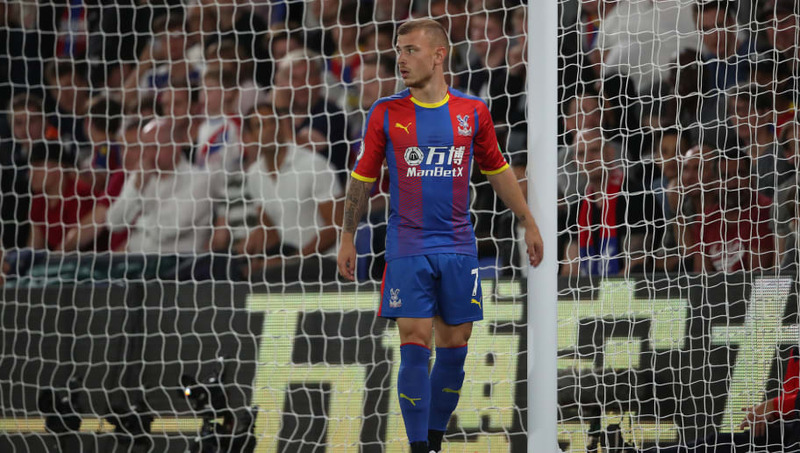 ​Max Meyer believes that ​Crystal Palace have a squad which may be "even stronger" than the one he left behind at Bundesliga runners-up Schalke 04. The highly-rated young midfielder caused a stir this summer when he signed a three-year contract at Selhurst Park, despite rumours that he might join one of Europe's elite clubs. Meyer was on the books at ​Schalke from the age of 13 onwards, and went on to make nearly 200 appearances for the Gelsenkirchen club, but left in ignominious fashion after publicly criticising Schalke's sporting director Christian Heidel. Now seeking a fresh start with the Eagles, Meyer has been impressed with what he has seen of Roy Hodgson's team so far. "I really think we can have a good season. We have plenty of quality and a strong squad - when you compare it to Schalke, it’s as strong, or maybe even stronger," Meyer told Palace's ​official website. Meyer made his debut as a late substitute against ​Liverpool on Monday, but couldn't prevent Palace from slipping to a 2-0 defeat. Speaking before that match, Meyer said that he was excited by the intensity of the English game. "I can’t wait to play in the ​Premier League," he said. "After watching the ​Fulham game, I’ve already noticed the differences between the ​Bundesliga and the Premier League, especially how intense and quick it is over here, so I’m very excited to get going." Meyer will hope to make his first Premier League start when Palace travel to ​Watford on Sunday.